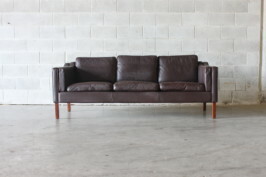 Nice dark brown sofa by Mogens Hansen of Denmark these sofas are made very well and are sturdy so you know it will last a lifetime. 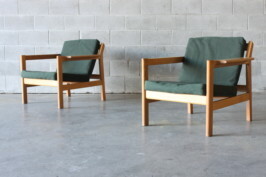 Generous in size with side cushions and classic step down arm in the style of the great Borge Mogensen . Far superior to the modern reproductions that are floating around today.